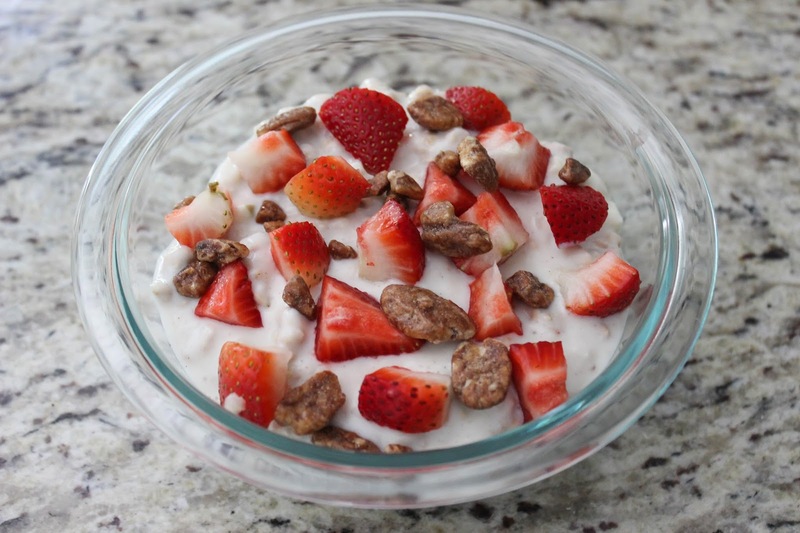 Yogurt parfait is a go-to breakfast in my house when I start to get sick of cereal. I’m always looking for ways to spruce up my parfaits, and this combination I’ve been obsessed with this summer is my favorite so far. 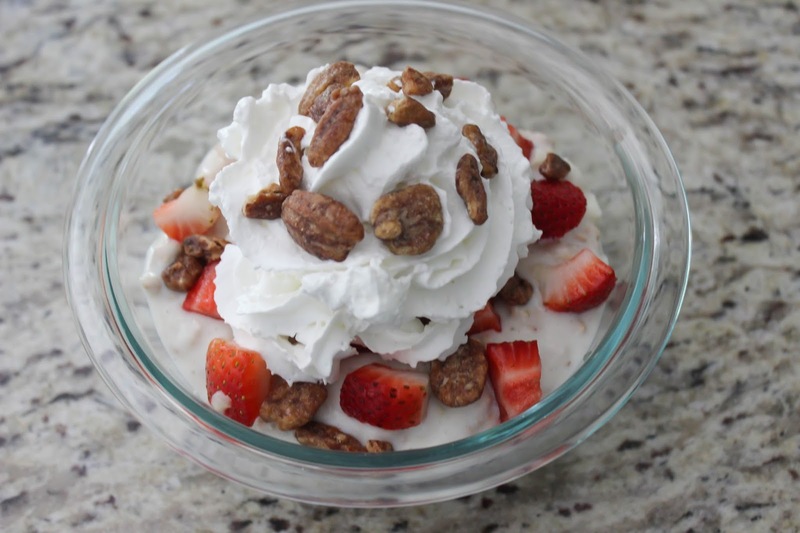 Apples, strawberries, pecans, granola, whipped cream… so yummy! I made this using new Quaker® Real Medleys® Yogurt Cups – the first shelf-stable convergence of granola, fruit and yogurt – all in a single serve cup! All you do is add cold milk to the cup, stir, and eat. Nothing like this has ever existed before! Seriously – Crunchy. Cool. Yum. The cups are both satisfying and delicious on their own, but it’s always fun to add to them and create a parfait. Follow the instructions on the yogurt cups to create delicious yogurt with granola and while you do slice the strawberries you are using. 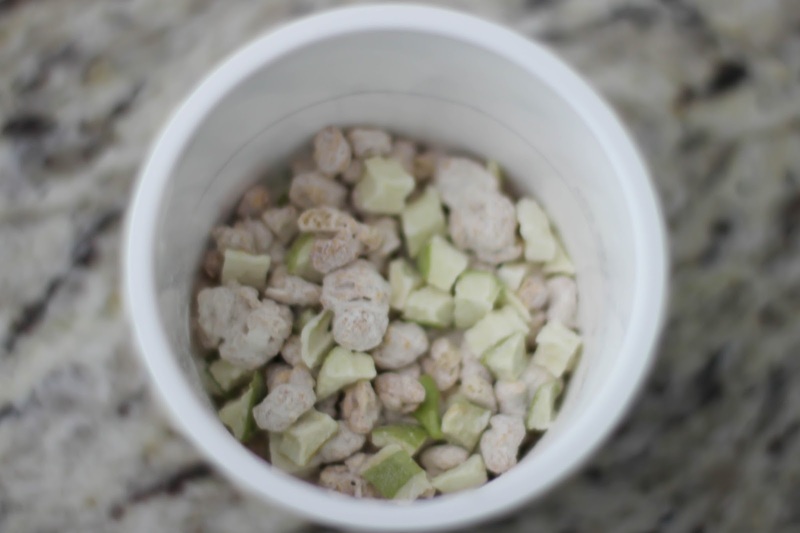 In a bowl add one yogurt cup. Top with strawberries and candied pecans. Top with two more yogurt cups, and remaining strawberries and pecans. Add whipped cream to top it off. Serve and enjoy! 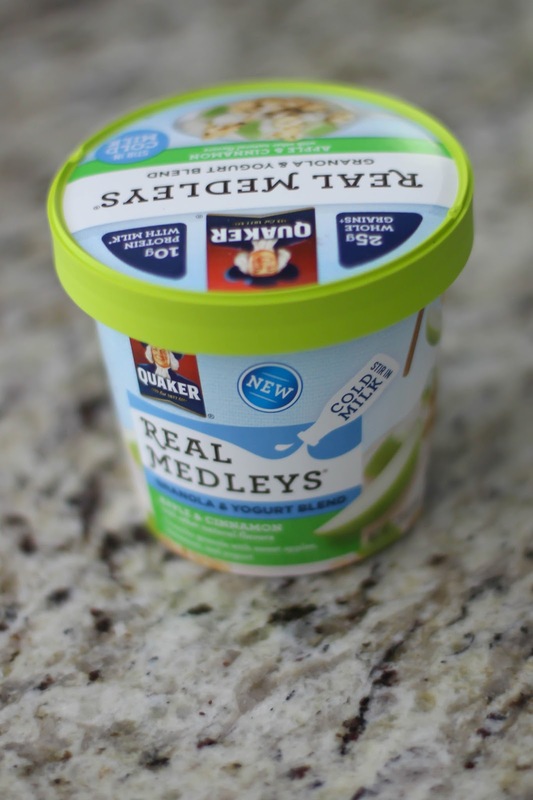 Be on the lookout for more recipes using Quaker Real Medleys Yogurt Cups at the Quaker Real Medleys site. I’d love to hear your favorite! This looks so yum, Claire! 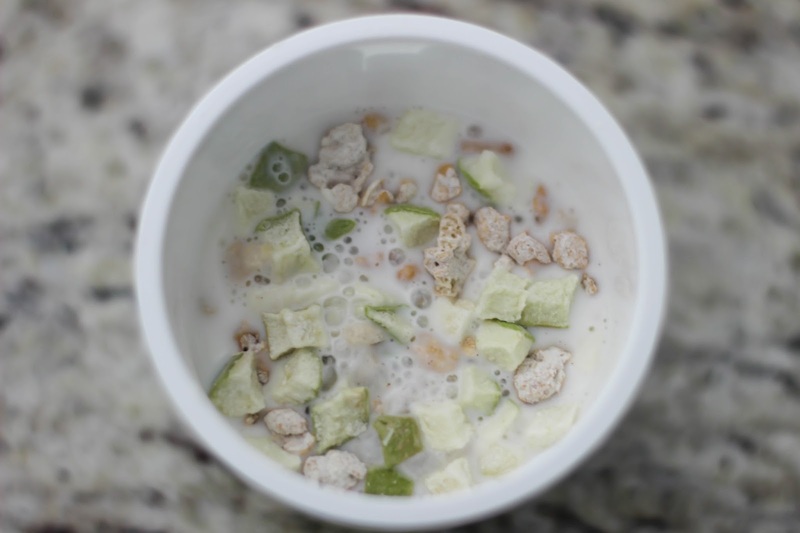 Anything with granola, yogurt or oats is a must have for breakfast around here! This is great for nursing moms, too! Thank you for sharing!! I've never seen those before, but they look so delicious! so easy and such a great idea for busy mornings! thanks for sharing, i'm checking these out the next time I'm at the store! This looks so delicious! 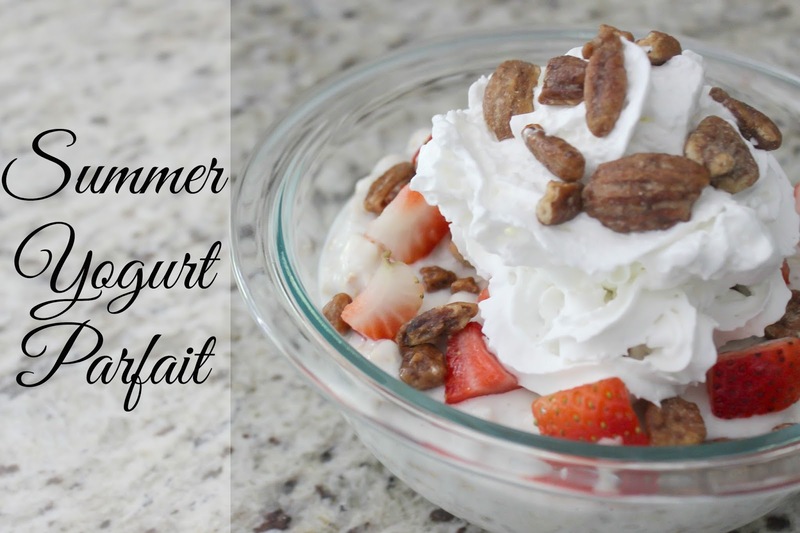 I love making parfait at home for me and my kids, so I have to give this one a try! My sister raves about these and I may just have to try them now too!